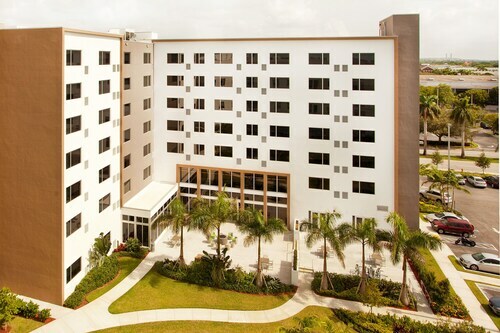 Situated in Doral, this hotel is 1.7 mi (2.8 km) from CityPlace Doral and 2.7 mi (4.3 km) from Miami International Mall. Mall of the Americas is 2.1 mi (3.4 km) away. 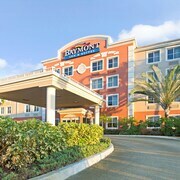 Situated near the airport, this hotel is within 3 mi (5 km) of CityPlace Doral, Dolphin Mall, and Miami International Mall. Mall of the Americas is 2.8 mi (4.5 km) away. 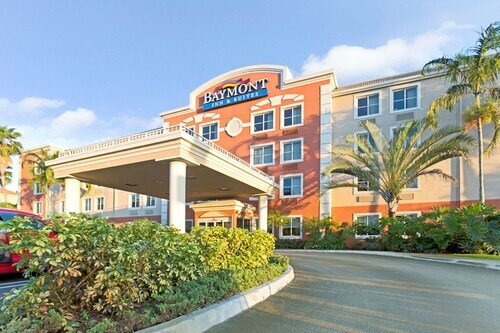 This northwest Miami hotel is under 2 miles from Miami International Mall and within 11 miles of the international airport. This hotel is located in the Miami Airport West Business Center, offering access to downtown, beaches, golf courses, and shopping. 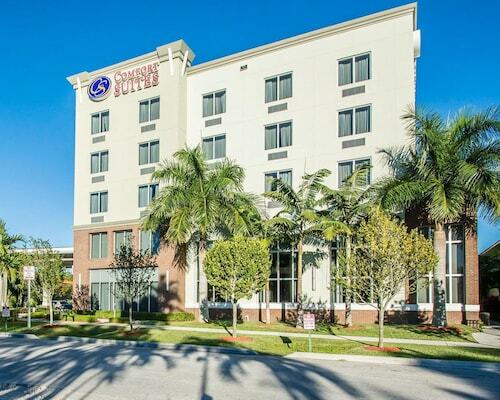 Miami Airport, the Dolphin Mall, and Miami International Mall are all within 3.5 miles of this extended-stay hotel. The Doral Golf Resort is 1.3 miles from the hotel. Downtown Miami is 9 miles away. 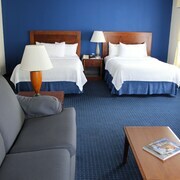 Situated near the airport, this hotel is within 3 mi (5 km) of Miami International Mall, Dolphin Mall, and CityPlace Doral. 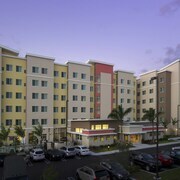 Doral Central Park is 2.2 mi (3.5 km) away. How Much is a Hotel Room in Doral? 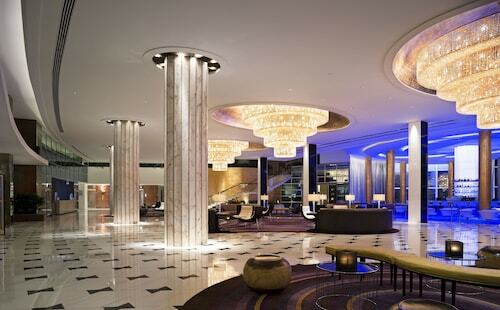 Hotels in Doral start at $76 per night. Prices and availability subject to change. Additional terms may apply. Doral, Florida, got its name from a combination of the first names of its founders, Doris and Alfred Kaskel and began its life as a golf resort. The resort became a town in the 1980s, and is now a suburb of Miami. Golf is still very important here, and the town is a regular stop on the PGA tour. Most hotels in Doral are very close to a golf course where you can practice your swing—when you're not relaxing in the sun, that is! 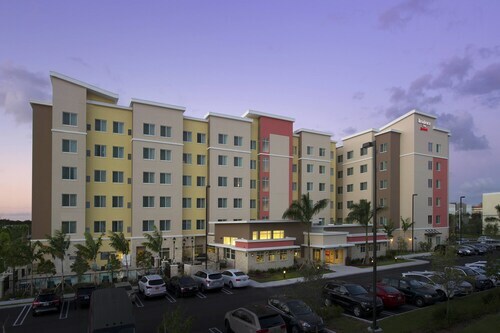 Doral is conveniently only eight miles west of Miami International Airport, and there are excellent cheap hotels in Doral, too, so it's an all-around great place to stay. You can get into town by taxi, by rental car, or on the public bus service. Besides its golf courses, Doral has other attractions that are worth visiting. The Museum of the Americas is an art museum containing exhibits from traditional and contemporary artists from throughout North and Latin America. Doral Central Park is a great place to walk, run, or just relax and enjoy the lake. If you want to clock some beach time while you're on vacation, there are amazing resorts in Miami, which is 15 miles to the east. Regular buses run to the city, or you can pick up rental cars in Doral and make the short drive. While you have the wheels, take the time to explore more of stunning South Florida, including Everglades National Park, 40 miles to the southwest, and Key Largo, 60 miles to the south. Key Largo also acts as a gateway to the rest of the beautiful Florida Keys. 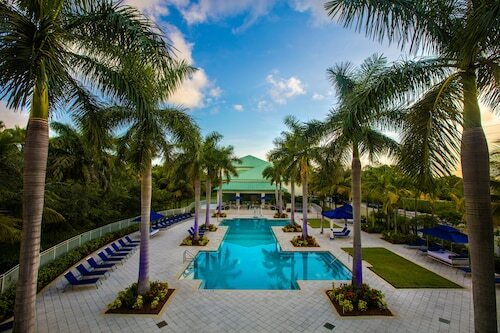 Are you ready for a vacation in sunny South Florida? 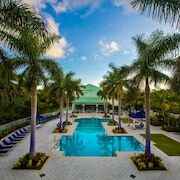 Look for flights to Miami and Doral hotels here on Travelocity, and you can save up to $537 when you book both at the same time. Now that's a deal that will make you feel like you've scored a hole in one! 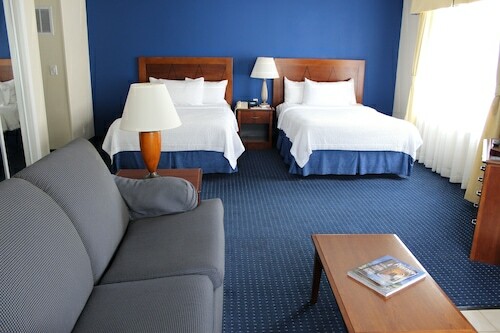 The rooms are spacious, clean and well stocked. Quite area and close restaurants, shopping malls.and other services. The staff is excellent, friendly and professional. I appreciate the security of the doors and elevators not working unless y po u have a room card. This has to be one of the nicest group of people I’ve ever had the pleasure of meeting. They were so kind and caring. They made sure everyone in the hotel was happy. I can’t wait to go back. The driver George that took us to and from the airport was amazing. Thank you George you are awesome.